If you think biology is boring, then take a look at this exciting new approach that has just become viral on Twitter. 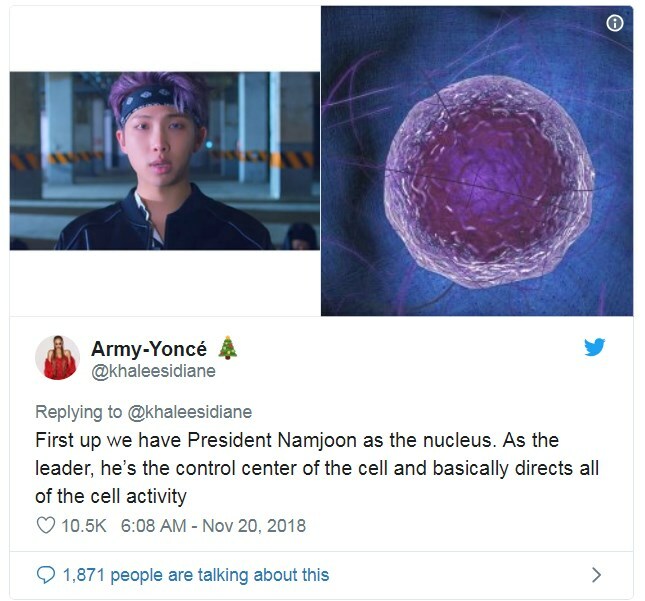 Biology major from Miami, Diane Petit-Frere, 22, used a fun analogy with Korean pop band BTS to explain the structure of an animal cell. The Typical Student team learned about her curious method. 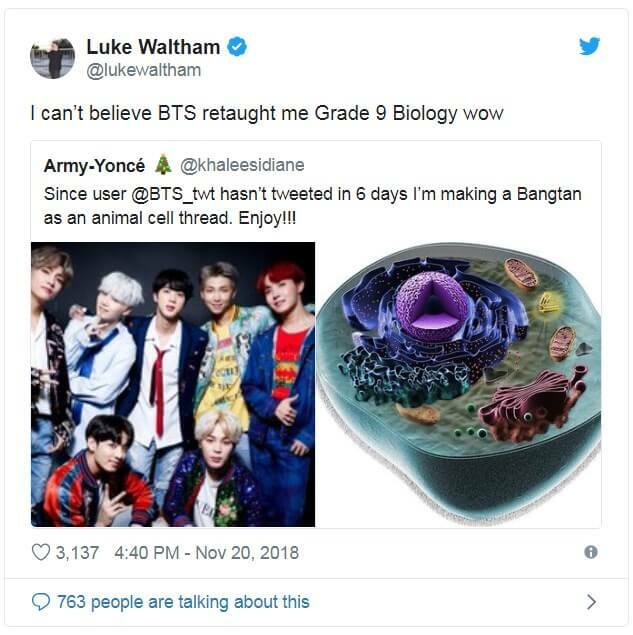 So, first off Ms. Petit-Frere started a Twitter thread that drew a comparison between the members of BTS and various parts of an animal cell. 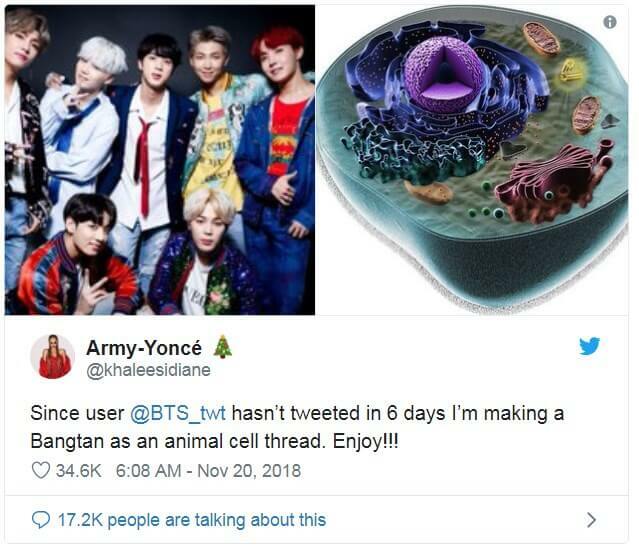 The student tweeted that was missing BTS, so she found the way to use her bio major to entertain the people on Twitter: "I’ve seen people make BTS as random items before so I wanted to try it out. I’m a bio major so I thought it would be cool to incorporate my class work into it. I just thought it would be fun." Unexpectedly, her tweet became insanely popular on Twitter. Petit-Frere commented she was surprised that her thread got so much attention. "I was gone from Twitter all day and came back to a ton of comments, retweets, and likes." 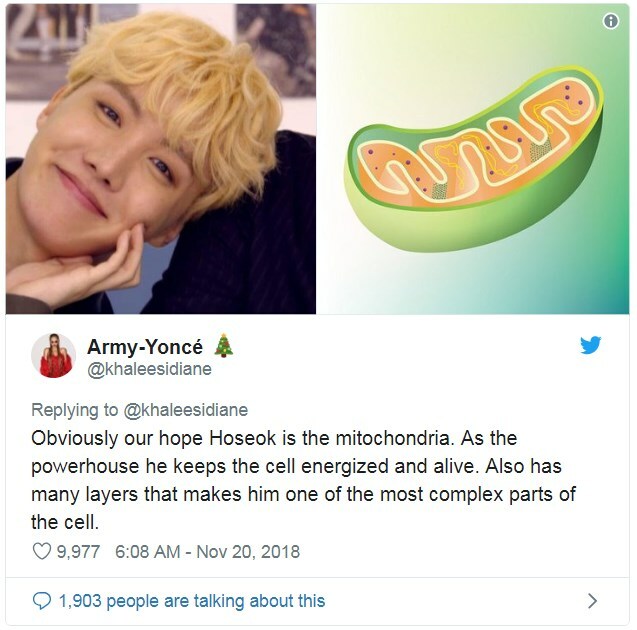 No wonder, as users believed she had been quite smart while drawing an analogy between the band members and the parts of the cell. 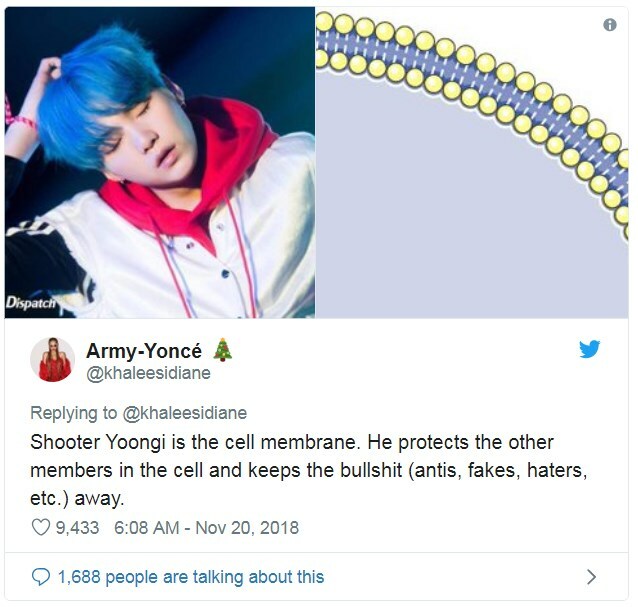 She compared Yoongi to the cell membrane. 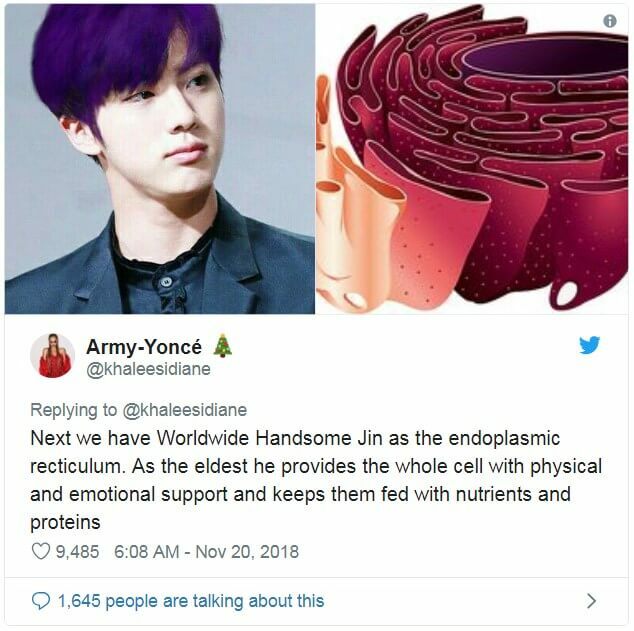 And Hoseok got compared to mitochondria. 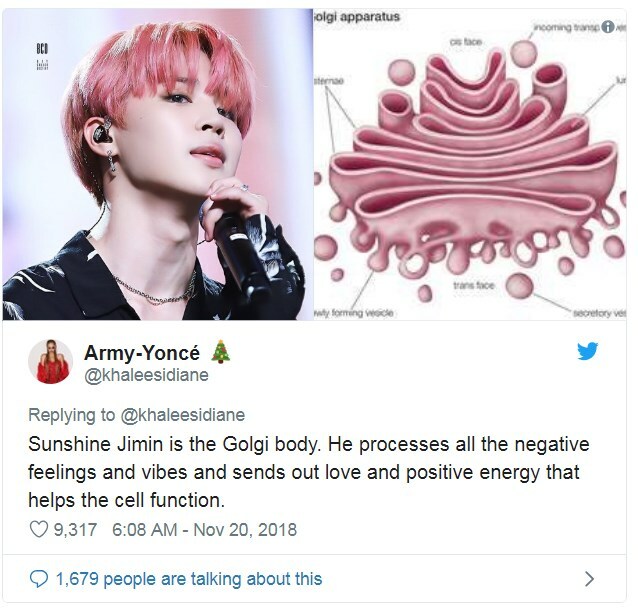 In Petit-Frere's opinion, Jimin looks very similar to the golgi body. 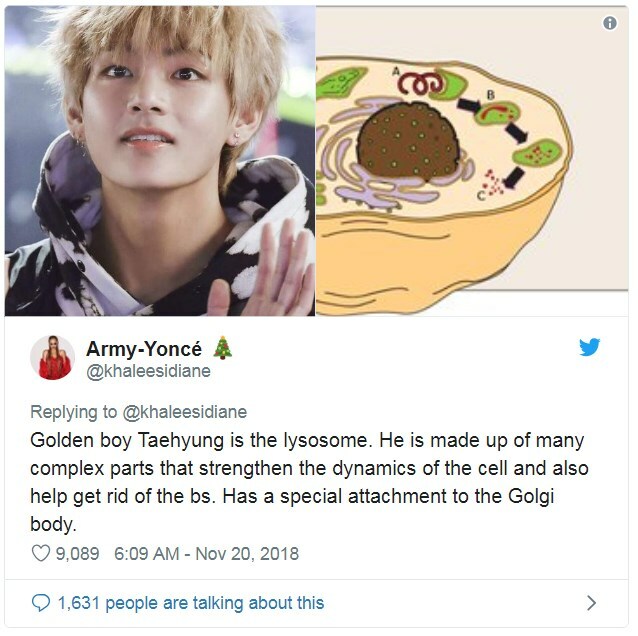 Taehyung got compared to lysosome. 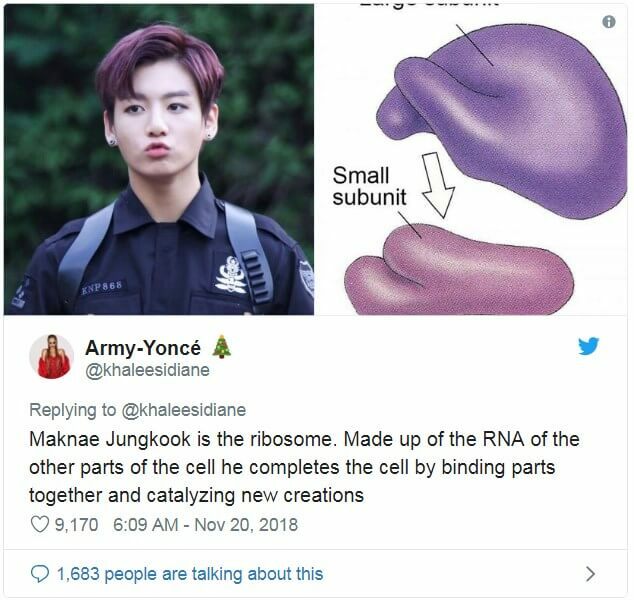 And Jungkook got compared to the ribosome. 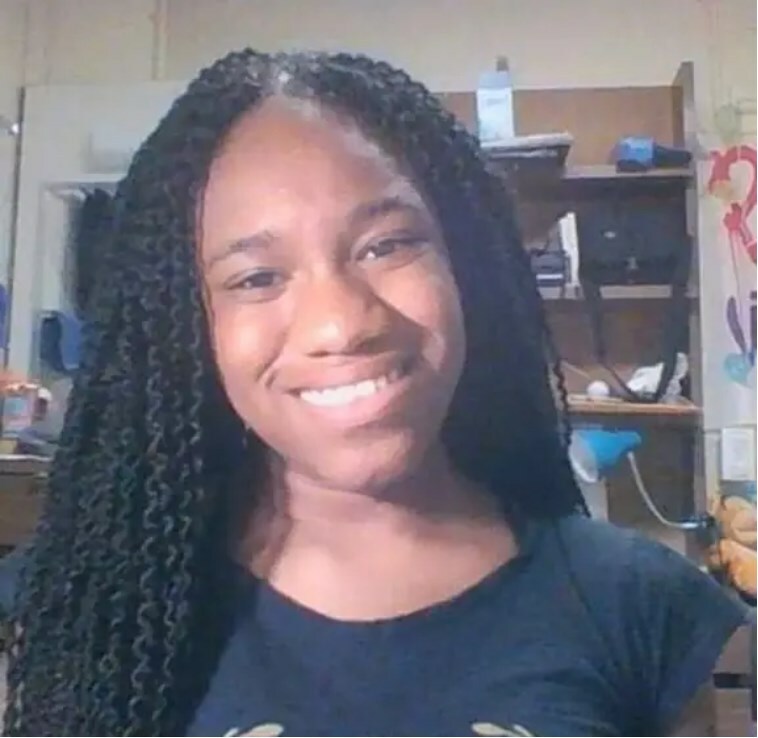 Petit-Frere shared her surprise with the BuzzFeed News: "People were telling me that the thread helped them study and learn the material which is awesome. I certainly didn’t expect that but I’m glad my thread had such a positive effect." The student was really happy the Armys enjoyed her Twitter thread, and she would be even happier if BTS saw the thread. The student also said that people had been asking her to make more about other subjects, but she doubted if she could draw such apt commparisons to other things.